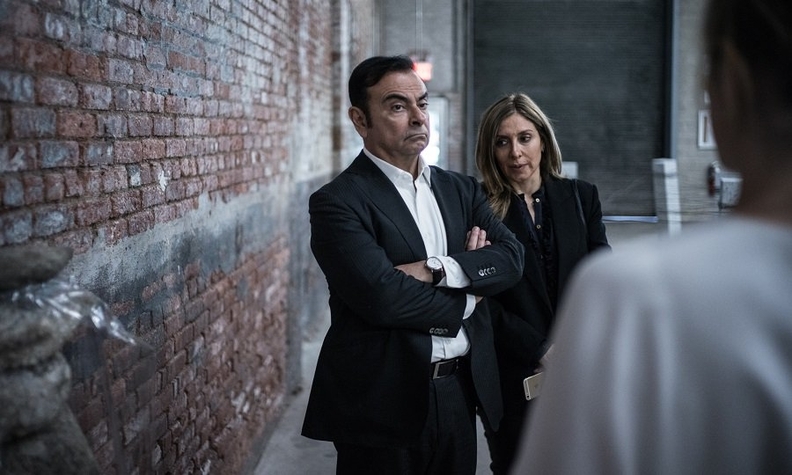 Carlos Ghosn is pictured with his wife Carole. Carole Ghosn addressed her plea to Kanae Doi, the Japan director for Human Rights Watch, in an undated nine-page letter, decrying her husband’s treatment since his Nov. 19 arrest. Ghosn has been held in a Japanese jail cell since then with little contact to the outside world. He is not permitted to see family members and has limited access to his own lawyers. By contrast, investigators are able to interrogate Ghosn several hours a day in the absence of his attorneys. Prosecutors have also made strategic use of a Japanese legal proviso that allows for the so-called re-arrest of suspects on related, but somewhat different, charges. This allows prosecutors to detain suspects for weeks or even months as they build a case or push for a confession. Japan has an impressive-sounding 99 percent conviction rate. But in recent years, suspects in some 91 percent of those cases had confessed before heading to trial. “Under Japan’s ‘hostage justice’ system, prolonged detention to extract confessions is one of the prosecutors’ primary investigative tactics,” Carole Ghosn wrote in the letter, obtained by Automotive News. “No one should be forced to endure what my husband faces every day, particularly in a developed nation like Japan, the third largest economy in the world. “Yet, this cruel and inhumane treatment of the criminally accused is all too common,” she wrote. Carole Ghosn is Ghosn’s second wife; the two married in 2016. Ghosn faces three indictments, the last two coming Jan. 11. Prosecutors accuse him of not reporting tens of millions of dollars of compensation from the 2010-17 fiscal years. He is also accused of temporarily shifting 1.85 billion yen ($17.1 million) in personal swap losses to Nissan and having Nissan pay a company owned by a business associate who helped him manage the losses. Ghosn denies any wrongdoing in all of the charges. He became eligible for bail following the latest indictments. His lawyers have said they applied for bail, and a bail hearing is expected as early as Jan. 15. Ghosn could be released from detention following that hearing. But his lawyer has said that suspects in similar cases are usually denied bail until trial, especially when they maintain their innocence, as Ghosn does. The Tokyo District Court dismissed an request for early release last week, saying Ghosn posed a flight risk and might be prone to tampering with evidence. In a Jan. 11 commentary published in The Japan Times, the Asia director at Human Rights Watch called for reforming Japan’s judicial system to address extended pretrial detentions. “Anyone arrested in Japan deserves the basic rights to the presumption of innocence, a prompt and fair bail hearing, and access to counsel, including during questioning,” Brad Adams wrote.